A new artisanal agriculture and premium food program is set to inject $2 million into Victoria’s emerging boutique food industry. These measures will be a welcome addition as culinary culture and artisan agriculture increasingly define Victorian regions. Dried vine fruit reigns in Mildura, dairy riches churn in Timboon and sweet honey drips from Beechworth beehives. Fresh produce – from cherries in summer to root veg in winter – grows year-round in Daylesford and the Macedon Ranges. Now these regions and more will benefit from the new program, announced in the Victorian Budget 2018/19. The aim is to increase opportunities for high-quality, high-value produce to reach market. This will strengthen Victoria’s regional craft food offering, encourage agri-tourism, and bring more jobs to these regions. 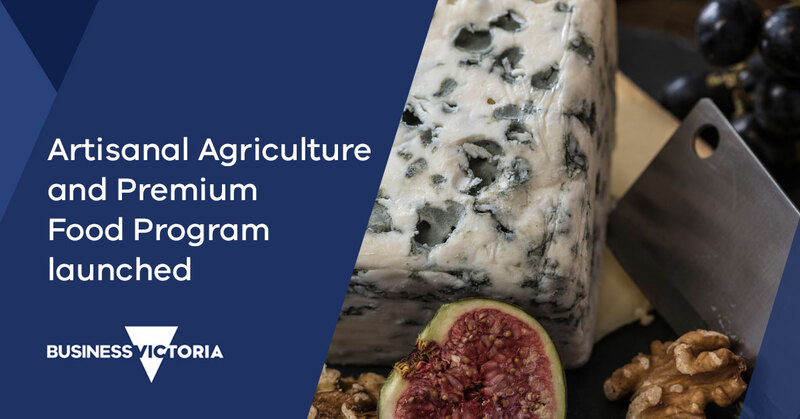 The program will include an Industry Development Plan for the artisanal agriculture and premium food sector in Victoria, a grants program to support business growth, and biosecurity and industry support services tailored to the needs of the sector. The meetings will be held at nine locations across the state – Mildura, Timboon, Woodend, Avenel, Beechworth, Meeniyan, Mornington, Bendigo, and Daylesford. Meetings will be held in June and July 2018. Register your interest on the Agriculture Victoria website.